It doesn't seem like that long ago that I told the girls I was expecting a new baby. There was a bit of mixed reactions, Mia wasn't very happy but Elliw was but she was also a bit confused. She has been the youngest child for 4 years so it is a huge step for her to step from the youngest to the middle child. As the months have come by both girls are super excited about meeting their baby brother. I still don't think Elliw fully understands yet but she is still excited. I have decided to buy the girls a few things so I can give the presents to them when they come and visit their baby brother for the first time. 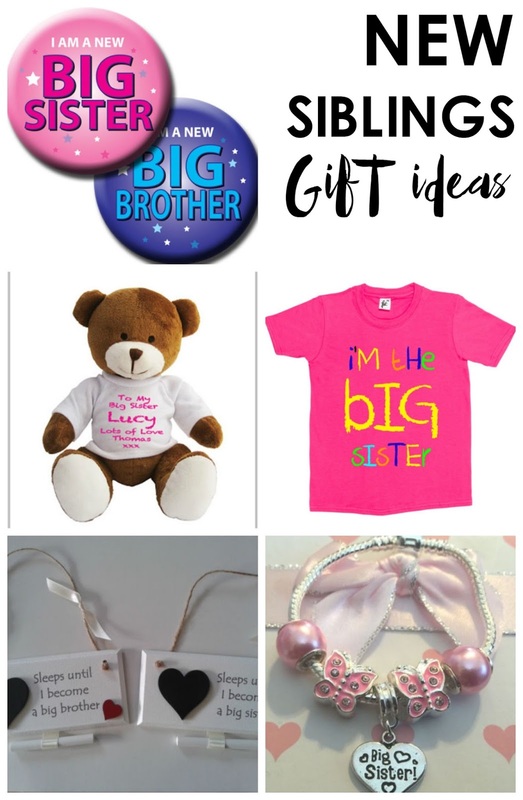 I have been looking online and at shops and have decided to just go with a t-shirt each which says Big Sister, badges each, some chocolate/sweets and a new toy each. It's not a lot but I know they will appreciate it and get pretty excited too. I just hope it kind of helps them settle a little quicker into welcoming their new baby brother. As I was looking online for gifts, there are so many gifts you can buy new brothers and big sisters.